Generally, succulents don't require (or like) much fertilizer. They are sensitive to salts and most chemical fertilizers contain these as an ingredient. So when Carole emailed me and asked me this; Hi..have you ever used 'Worm Castings' with Succulents. I am repotting, so thought it a good idea. This was my answer; there are two ways to use worm castings to fertilize succulents, but it's important to know when to quit. Succulents resent too much fertilizer, and a small amount goes a long way. Mixing the dry castings into soil that you repot with ensures a constant steady supply for the weeks or months after repotting. This is natures 'slow release' fertilizer. The second way to use worm castings is to make it into tea which you can water established plants with, through the summer months when they're growing, which is a great way to feed on demand. Only use it sparingly when the plants show signs of needing a boost (slow growth, poor color and so on). Make sure you recognize if it's feeding it needs, or maybe it has a pest or other problem. Once you rule that out, feed away - weakly, weekly, or less often. So how much do you use? To make worm castings tea using commercial bagged worm castings, use one tablespoon of castings mixed into a liter (quart) of water. Let it sit overnight, stir a few times. Dilute this concentrate in a gallon of water to irrigate the plants with. You can water with plain water first, so as to avoid burning the roots. As always, test with a few plants to see how they like it as all growing conditions are different. Avoid any kind of feeding during a hot spell, and try to water in the morning. If it gets on the leaves, wash that off before the sun hits it. 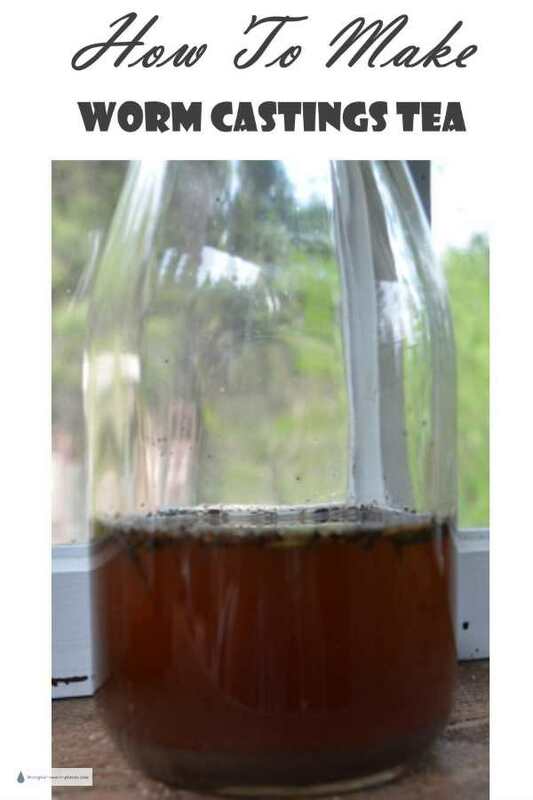 Keep in mind that this type of compost tea could stain surfaces like wood, marble or fabric. If you display your plants on this type of surface, move the plants to the sink to fertilize them. After the fertilizer has drained through the soil, and the pot is dry, move them back to their customary place in your display. Plants too big to move? Put them on a shallow plastic tray to keep the fertilizer from staining - don't let it fill up and waterlog the soil! 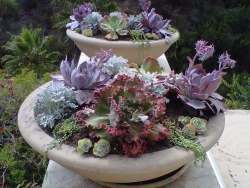 Get your free Planting Succulent Containers Guide.